We're pleased to announce that we have arranged for Nick Smith to come to Fargo, North Dakota to run a 3-day skill development camp for youth and middle school players. This is a youth and middle school camp for players looking to develop an advanced scoring and playmaking skill set. You improve your shooting, ball handling, passing, athleticism footwork, decision-making, and 1 on 1 moves to take your game to the next level. You will improve your shooting, ball handling, passing, athleticism footwork, decision-making, and 1 on 1 moves to take your game to the next level. Game like shooting drills to drive up your shooting percentage. How to create more uncontested shots with dribble moves that create at least 2-3 feet of separation from your defender. Advanced hand-eye coordination and ball handling drills that will accelerate your feel for the basketball. These drills will make dribbling during game situations feel easy. How to develop an explosive first step. This is probably one of the most important aspects of being a playmaker, but it is rarely broken down and taught properly. Learn about the proper shin angle, head position, shoulder position, and hip position. Advanced finishing moves will be taught, such as finishing with the inside hand, wrong/goofy foot, taking away defenders angle by using the rim and making a defender go through you to get a traditional 3 point play. Critical components of basketball IQ required to become a great offensive player from an individual and team aspect. How the top pros create advantages which allow them to make plays for themselves and their teammates. Live ball moves to help you blow by the defense at will. You will learn how to shift (or setup) the defender with your body and feet. How to stay in attack mode, dictate the tempo, and control the defense. Finishing techniques used to reduce turnovers, finish over larger players in the paint, and make more shots. How to finish through contact. Attacking down screens, back screens, and more. How to score and make plays using ball screens. Learn how to run defenders into screens and make lightning quick decisions. How to use dribble hand off actions to attack the defense and put them in a constant disadvantage. Utilize front pivots, reverse pivots, step throughs, sweeps, drop steps, and hops to make you an elite player. Improve hand eye-coordination and passing skills that make players like Chris Paul one of the best playmakers in the game. How to be strong and pass out of double teams and traps. Players will also get to take the skills they practiced and apply them in a game setting. This is a way fun to improve through competition. The games are set up, so the players have to give maximum effort and execute proper fundamentals. Point systems are set up, so players develop great habits that will help them succeed at the next level. This camp is for both boys & girls 4th-9th grades, ages/skill levels will be separated. Coach Nicholas Smith is in his fifth season as assistant coach for Southwest Minnesota State Men's Basketball. In 2016-17, SMSU had one of its best seasons in school history, tying a school record with 28 victories, while capturing the NSIC South Division and NSIC Tournament championships. SMSU also advanced to the NCAA Tournament for the fourth time in school history, before losing to eventual national champion Northwest Missouri State in the region championship. Prior to joining the coaching staff, Smith completed a standout four-year playing career at SMSU (2010-14) and ranks as one of the best players in program history. Smith closed his career appearing in 117 games with 101 starts and was a member of SMSU�s 2012 NSIC tournament championship team and NCAA tournament team. His name is all over the program record book, as he ranks first in career blocked shots (174), fourth in field goal pct. (54.4), fifth in rebounds (712), ninth in field goals made (481) and 10th in points (1,192). Smith, a two-time All-NSIC second team honoree, he was also named CoSIDA Academic All-District in 2014 and twice was named the SMSU Male Scholar-Athlete of the Year. 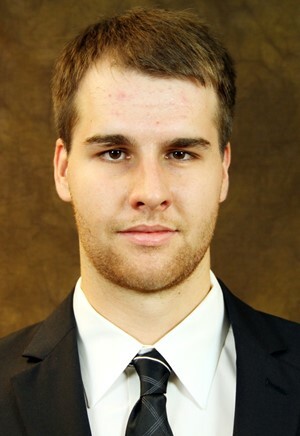 Smith is a 2014 graduate of SMSU with a degree in sports management and finance. He is pursuing his master�s degree at SMSU. *Clicking Register means that you are agree to the Breakthrough Basketball Indemnity Statement and Refund Policy. Otherwise there is a $97 fee to attend as an "observing coach". You will get to learn new drills and techniques from Nick Smith, just like all the players and other coaches in attendance. Visit this link to reserve your spot as an observing coach. If you have any questions, don't hesitate to email us or request a phone call.